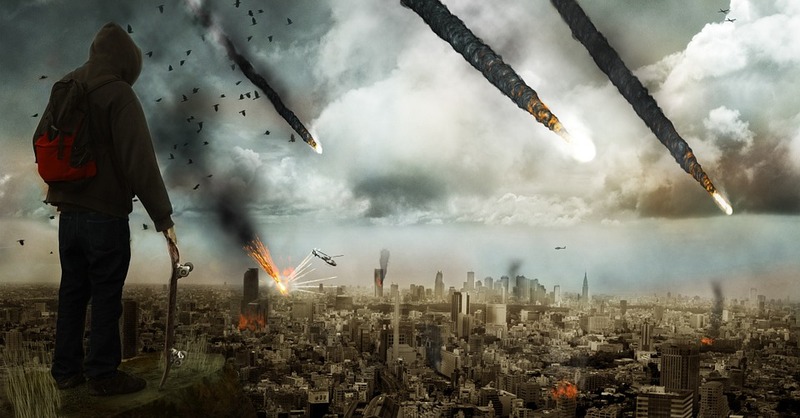 Mention ‘The End Times’ to Christians and you will get one of two reactions: a low groan — ‘here we go again’ or a heated all-night debate. I believe this is a large part of our ‘forgetfulness’ problem with regard to the Return of Christ. To cults like the Jehovah’s Witnesses, the end-times are everything; even to greatly-blessed ministers like John MacArthur the focus on his pre-millennialism theory can be OTT. Satan can cause the best of us to read far too much into the — mostly symbolic —numbers in Revelation to find out the date that Jesus clearly states ‘no man, no angel, not even I know’ (Matthew 24:36). Superstitious nonsense that people fall for – even the elect (Matthew 24:24). Revelation is an amazing and joyous book, more about Jesus than anything else; yet our obsession with these matters seems to kill it to the point where it becomes entirely unprofitable. Some people make it seem like the whole gospel itself is hinged on the thousand years or the number of the beast… Where is Jesus? Where is the cross? “Stress these things, so that those who have trusted in God may be careful to devote themselves to doing what is good. These things are excellent and profitable for everyone. But avoid foolish controversies and genealogies and arguments and quarrels about the law, because these are unprofitable and useless.” (Titus 3:9). “Command certain people not […] to devote themselves to myths and endless genealogies. Such things promote controversial speculations rather than advancing God’s work—which is by faith. The goal of this command is love, which comes from a pure heart and a good conscience and a sincere faith. Some have departed from these and have turned to meaningless talk.” (1 Timothy 1:3-6). That is not to say that we should not eagerly look into these things and work out our stance on these issues. Yet there is doctrine that is surely so much more important than these things — which can so often be divisive red-herrings and unprovable from Scripture. Instead we should look into what is profitable and honouring to the Lord — how about adoption, your privileges in Christ, the trinity, Jesus’ deity, etc.? — be a Berean (Acts 17:11) and check what your pastor says lines up with Scripture! What will we say? What are our excuses now? ‘Oh I’m too busy with life’, ‘I don’t like talking to people’, ‘I’m not gifted in that way’, … There once was an atheist who said that one big reason he does not believe is because, if what the Bible says is true, Christians would be out warning everybody all the time and they’re not… — why believe a book about a man, if His followers don’t even seem to believe it? The most selfish thing we can possibly do is not to share Jesus. The Casting Crowns song ‘Love you with the truth’ puts it brilliantly. Why has God let the world go on so long, considering His people were ready way back in the first century for His return? It’s because we know exactly when the world will end: when the last soul is saved, when the last of His flock is brought safely into the fold. “The Lord is not slack concerning His promise, as some count slackness, but is long-suffering toward us, not willing that any should perish but that all should come to repentance.” (2 Peter 3:9). “At that time your people—everyone whose name is found written in the book—will be delivered. Multitudes who sleep in the dust of the earth will awake: some to everlasting life, others to shame and everlasting contempt. Those who are wise will shine like the brightness of the heavens, and those who lead many to righteousness, like the stars for ever and ever.” [emphasis added] (Daniel 12:1b-3). The last part is often termed, ‘the soul-winners’ promise.’ Are we soul-winners? When was the last time we pointed someone to Christ? Let’s all cut the lukewarm cold-hearted worldly two-faced ‘Sunday Christianity’ baloney that seems to define us and pray that He will give us a glimpse of Christ, draw us closer to Himself, fill us with His Spirit and give us opportunities to witness of the Messiah. Let’s truly ‘Love our neighbours as ourselves’. What is more important than doing the Good Lord’s work? A hymn we sung on Sunday encapsulated this brilliantly. I was only going to quote the last verse – but reading it again, I couldn’t bring myself to cut any of it! Previous Previous post: A Reformation In How We Sing!